So happy to have this photo of my grandfather’s gravestone. Many thanks! 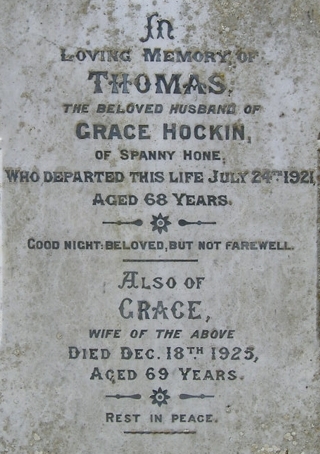 When did Grace Hockin die?